Hi all! 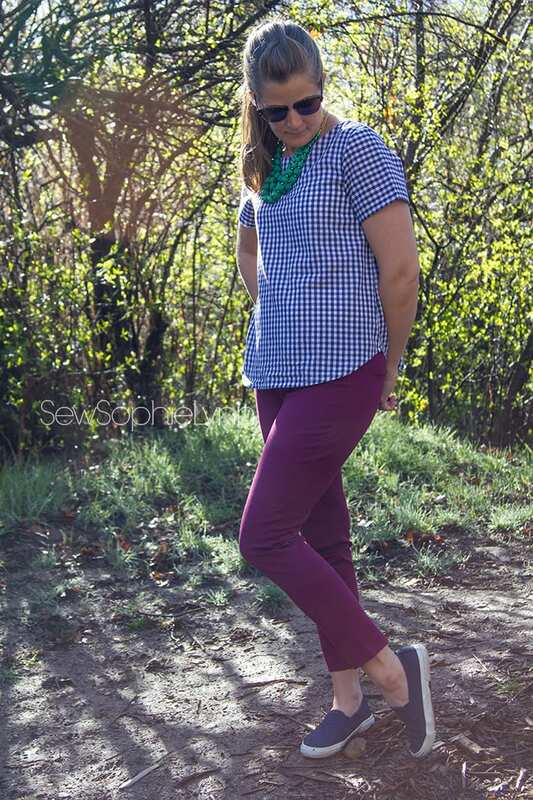 Tami from SewSophieLynn here and I’m excited to be sharing with you my first and definitely not my last Shoreline Boatneck. 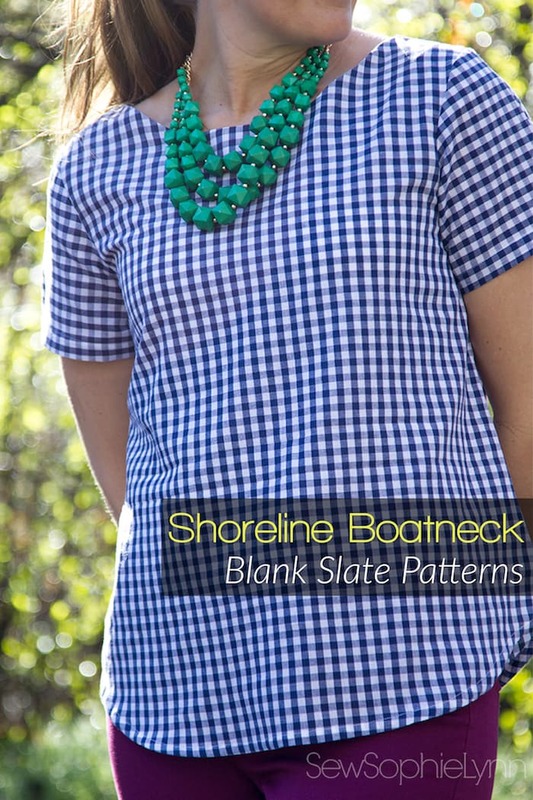 I've had my eye on this pattern forever and when it was re-released it jumped to the top of my to-sew list! 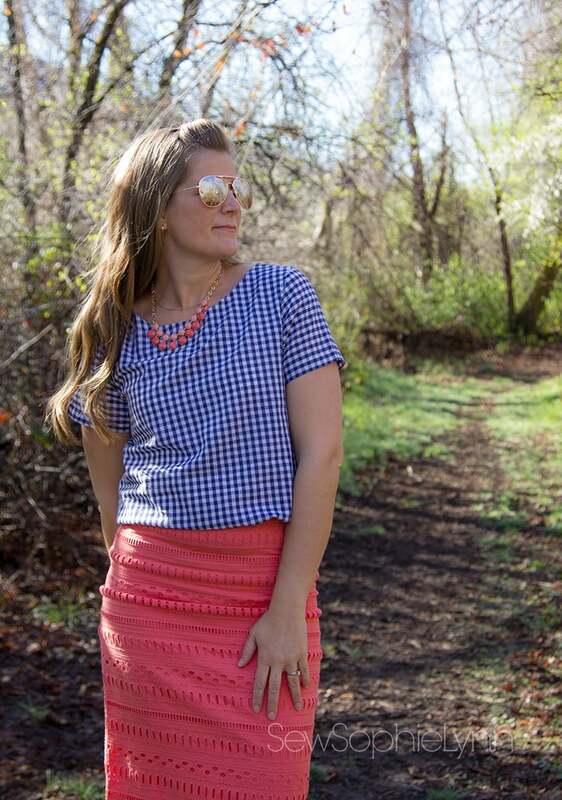 I've struggled to find a woven tee pattern I love and this one is just perfect! I love the loose in all the right places fit of this top. It makes a fantastic casual top but can easily be dressed up too. I'm always falling for fancy blouses in the stores but they end up forgotten in my closet in favor of comfy tees everyday. I'm a jeans and tee girl and I love that this top totally elevates that look. I really will pair this with sneakers for running errands and hanging out with the kids. It's just as comfortable as my favorite tee but looks so much more pulled together. Paired with a skirt, I'm ready for church or a fun night out. 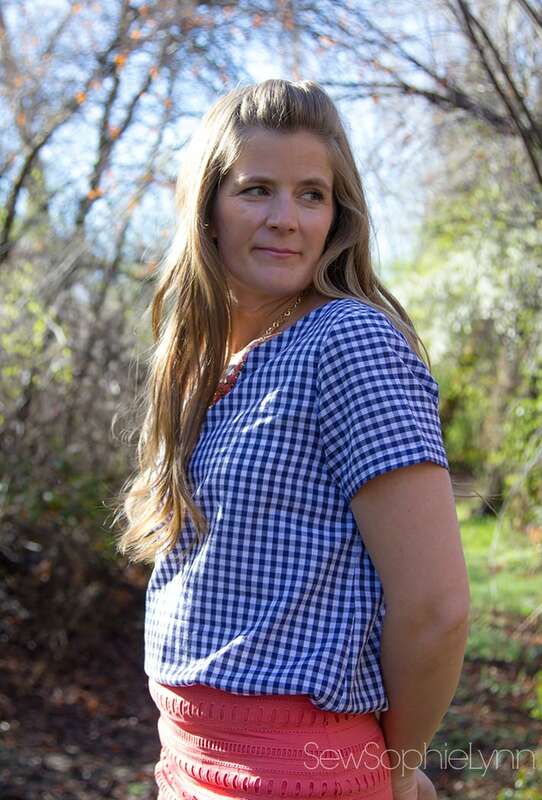 This simple navy gingham is so versatile too and will easily pair with so many colors- where has this top been all my life?!! 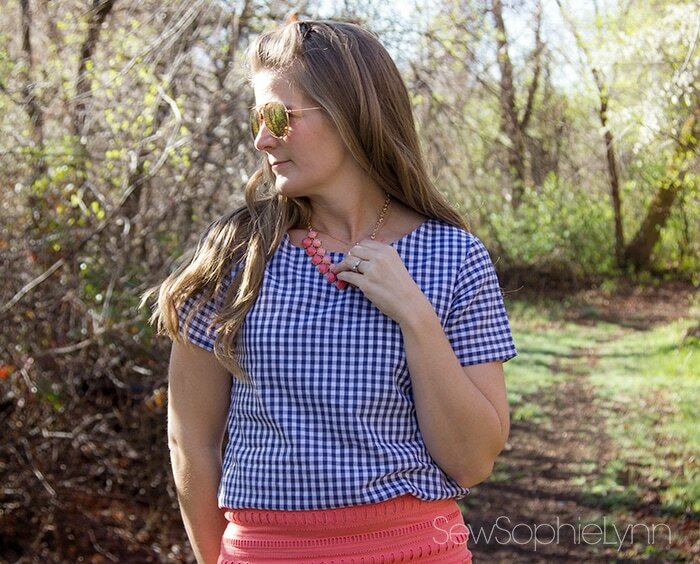 Doesn't gingham just make you happy for spring and summer? It's so classic and fun! So, now I have a pile of fabrics waiting to be made into Shorelines for spring. I have a flowy retro print challis, a floral soft brushed poly, and a simple grey rayon spandex all in the wings. I'm thinking of using one of the many variations available in the Hack Pack too! 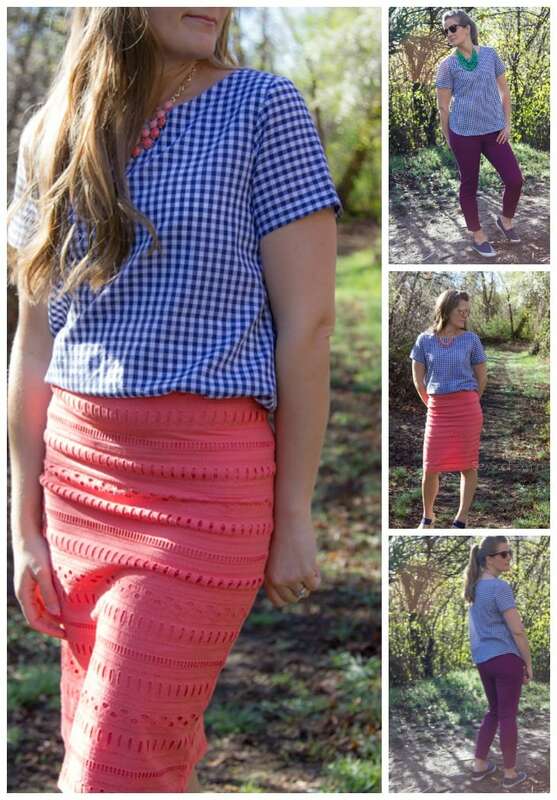 Such a versatile pattern!